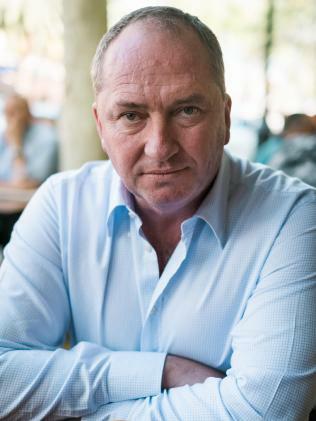 EIGHT Queensland Federal Nationals MPs will divorce themselves from the LNP campaign at the next election and in a matter of weeks will use Barnaby Joyce to relaunch themselves in the regions. Talks behind closed doors - including with Federal Nationals' director Ben Hindmarsh - have cemented the Nationals' view that the LNP at a federal level has emasculated the proud party of the bush and will cost them votes at the next election. It is understood the LNP executive is not supportive of any change, however, Nationals' parliamentarians say they have nothing to lose. It comes as the Nationals are expected to endorse a commission of inquiry into banks during a party room meeting next Monday - a policy position that puts them at odds with the Liberal Party and the Prime Minister. ● Because the LNP is a legal entity, the Nationals' candidates names on ballot tickets will still say they represent the LNP, but bunting, corflutes and advertising will trumpet the Nationals. 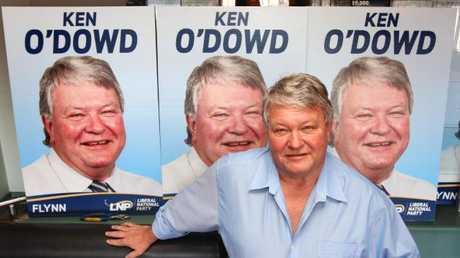 Flynn MP Ken O'Dowd. Picture: Darren England. Maranoa MP David Littleproud and Flynn MP Ken O'Dowd told The Courier-Mail yesterday the Nationals needed to differentiate themselves better from the Liberals. "Federally we are two separate parties, we need to vocalise that more. It goes beyond branding. I always called myself the Nationals Member for Maranoa,'' Mr Littleproud said. Mr O'Dowd said the Nationals needed to move soon. "I can see us becoming irrelevant if we keep heading down the path we're heading. We're becoming, in the eyes of the public, more city orientated than rural and regional,'' Mr O'Dowd said. 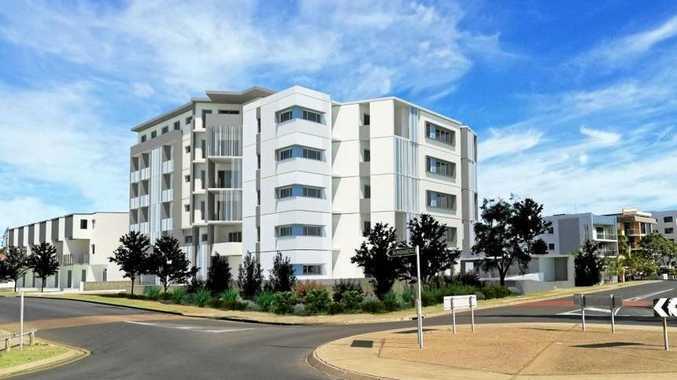 "Initially we should make our point as Nationals and make sure we're heard by our Liberal Party cousins. If that doesn't work then we take the next step, which could be a break away." While the LNP merger will not be unscrambled, the Queensland Nationals want to be distinguished from their 18 Liberal Party colleagues. The Courier-Mail can reveal plans are being drawn-up now for a blitz on the bush, with the Nationals ready to reinforce what they have achieved and what they stand for. They want Mr Joyce to pick more fights with the Liberal Party. They are waiting for Mr Joyce to win his by-election this weekend and be sworn back into Parliament. 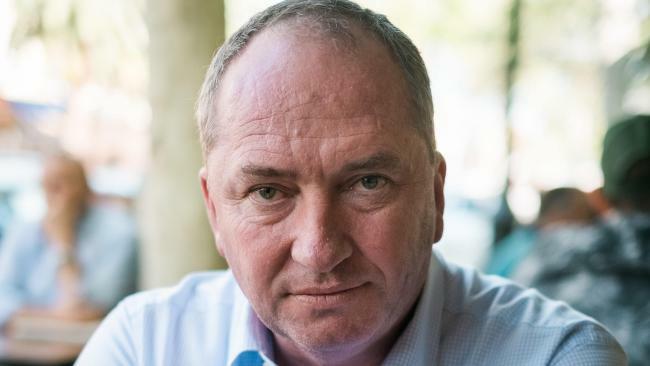 Mr Joyce could be back in Parliament as early as the first week of December. Many Nationals hold marginal seats in Queensland and believe they will become victims to One Nation at the next election if they do not get back to basics, and talks about dams and rail, rather than Mr Turnbull's mantra of "jobs and growth". They want their corflutes to show Mr Joyce and not Mr Turnbull. 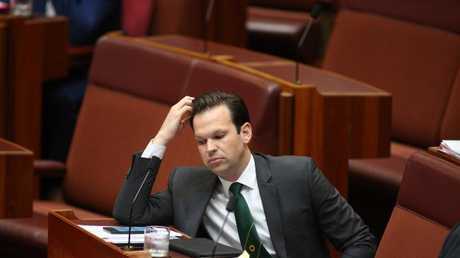 Resources Minister Matt Canavan said it was not a matter of splitting the LNP, but better selling the Nationals as a separate power in Canberra. "At a Federal election, if people are looking for an independent voice that is not a major party, they've already got one in the Nationals," Senator Canavan said. "We have a separate party room, a separate voice and stand up for their interests." In Canberra, Nationals and Liberals sit in their respective parties. Depending on the party who held their seat before the LNP merger determines which party they belong too. However, any redistribution that provides an extra seat could become a headache for the LNP, especially if the new seat straddles outer city/regional voters. Attorney-General George Brandis, who is a Liberal, said yesterday: "The LNP is going to have a very honest discussion with itself among its members as to where non-Labor politics in Queensland goes from here."